Tree planting is a good thing, right? After all, trees hold the soil, provide shade, valuable food for wildlife, absorb carbon dioxide and clean the air by breaking down various pollutants. They can provide windbreaks which can lower heating bills, and their leaf litter enriches the soil. Unfortunately, the answer is not that straightforward. Trees unsuitable for local conditions may die or fail to thrive, resulting in the wasted energy, effort, and money required to plant the tree. And some trees can damage ecosystems and/or become pests. 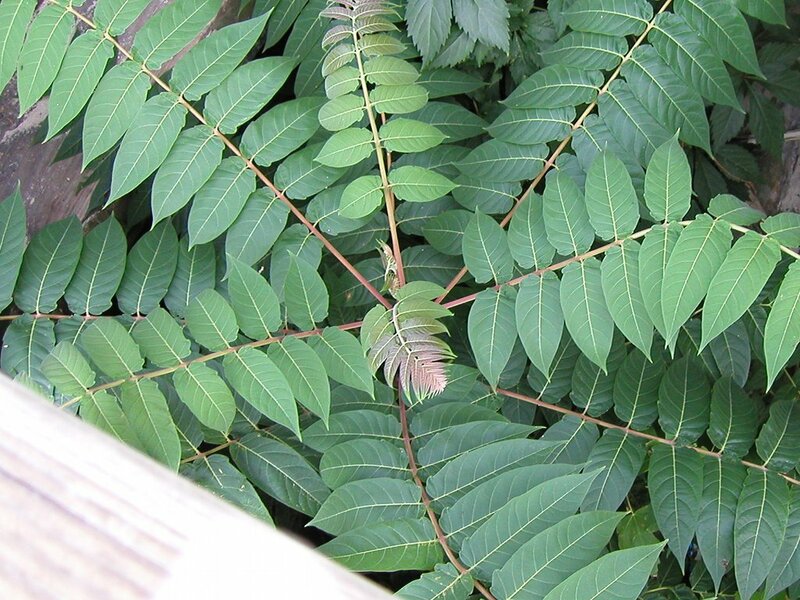 For example, the Ailanthus altissima tree, native to China and Taiwan, was imported to the U.S. as a street tree but quickly became a pest in urban areas, where it often grows up against buildings. Similarly, the Norway maple, native to Europe, was widely planted as a landscaping tree in North America, and has invaded forests, where it inhibits the growth of native understory plants, and can cause soil loss because of the bare soil under the tree. The Ailanthus altissima tree often becomes a pest in cities by seeding prolifically and growing up against buildings. But is native enough? And what is native? The Colorado blue spruce is native to North America, but it is widely planted far outside its native range, such as on the east coast. For trees with large ranges, the question becomes even more complex. A sugar maple from Missouri is not going to be adapted to the same growing conditions as a sugar maple from Maine. This post aims to thoroughly address these nuances by outlining a simple set of principles that can be followed in order to achieve the best results from tree planting. These principles are universal, in the sense that they can be applied by homeowners planting individual trees, large institutions that plant trees on a regular basis, and by large-scale tree planting efforts. I have ranked these best practices in the order of relative importance. The order is based on the premise of the first priority being to do no harm, the second priority being to not waste resources by planting trees that will not thrive, and the third priority to have the greatest positive impact or results (both in terms of ecological and human impacts) from the tree planting. Plant only native trees. The best practice is to interpret “native” as locally as possible. Consider the effects of the tree on the surrounding environment and ecology. Choose trees adapted to the local conditions of your site. Use single species (non-hybridized) trees grown from seed, taken from healthy local populations. The details of how and why are described below. These are general rules; they have exceptions and must be treated with flexibility. The points above function as a table-of-contents; you can use the links to navigate within this page. Native trees have two advantages: they avoid the problems with invasive non-native plants, and they are well-adapted to local conditions. Two examples of problems caused by non-native plants were given above. Some of the potential problems caused by non-native plants are that (a) some are not eaten by native insects (b) some produce chemicals which inhibit the growth of native plants (called allelopathy) (c) some can alter water use and nutrient cycling (explained below) in ways that negatively impact native plants. (d) non-native plants can act as carriers for diseases; an example would be the Chestnut blight which was brought to North America on Chinese chestnuts. The basic idea is that if we are to do no harm to ecosystems, we must plant only native plants. Being adapted to local conditions can be subtle as it can depend on rare events. Some trees grow very well in the climate of southern Florida, but grow tall and have weak roots, because they are native to areas that are never subject to hurricanes. These trees can be broken off or ripped right out of the ground in a hurricane–which can be disasterous if they are planted near buildings. Similarly, some plants may do well in a typical year but may die or be subject to pest infestations in an unusually dry year or unusually cold, snowy, or icy winter. These issues are particularly important in continental climates where extreme anomalous (hot, dry, wet, or cold) years occur with some regularity if you look on a large time scale. The Osage orange, Maclura pomifera, illustrates the complexity of the notion "native". Since humans have inhabited North America, this tree has been restricted to a small area of Oklahoma and Texas. There is evidence, however, that it once had a much broader range, and it is able to grow well far outside its native range. One theory is that its fruit was distributed by large mammals which went extinct after humans colonized the continent. Just what constitutes native? The potential for ecological damage resulting from an invasive species is greatest when plants are imported over large geographical barriers (such as Asia to North America), but some damage can be caused by more local imports–such as across the Rocky Mountains–especially when the genetic uniqueness of previously separated species becomes lost through hybridization. Since this post is about best practices, the best practice is to interpret “native” as locally as possible–which we explore more our last point about local seed stock. But it’s also important to keep an open mind for special cases like the Osage orange, pictured above, or the Gingko (a tree, Chinese in origin, common in cultivation, but possibly extinct in the wild). As with any rule, we must interpret the best practice of using native plants with flexibility, looking at it on a case-by-case basis. Trees are very large living organisms. Even a single medium-sized tree can have a considerable effect on the ecology of the surrounding area. Trees create a microclimate, moderating the temperature and humidity under them, and creating niches for other plants and animals. This section explores some of the main factors to consider when thinking about how the tree impacts its environment. Direct (Mechanical) Impacts of the Tree’s Growth: When planting trees in an urban area or near buildings, consider the size and shape of the tree, the nature of its root system, and the degree to which it drops limbs. Some trees, such as the silver maple, grow well in cities but are a poor choice to plant near buildings because they naturally grow with multiple trunks, and drop limbs frequently. Some trees have aggressive root systems that can heave sidewalks or crack building foundations. Surface roots can also make it hard to garden near the tree. One last structural consideration worth mentioning is that trees, particularly evergreens with dense foliage, act as windbreaks, which can be used to lower winter heating bills, and can also protect gardens against drying winds in arid areas. 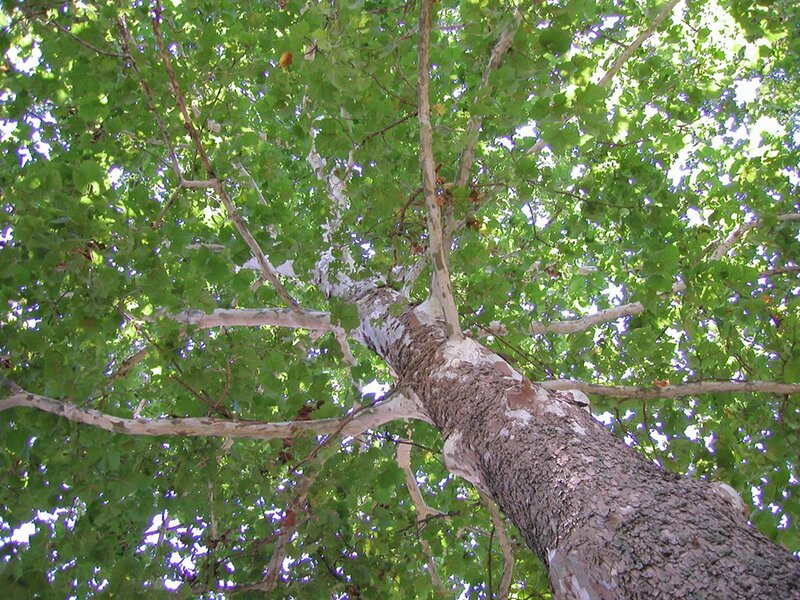 The American sycamore, Platanus occidentalis, is a beautiful tree with striking, mottled bark. It is fast-growing, long-lived, and wide at the base, with many surface roots. When planted in cities, its roots will heave sidewalks as it quickly fills out narrow strips between the sidewalk and street. Water: Trees use a lot of water, and their water use varies greatly by species. Some trees, such as willows, which naturally grow in wetlands, have a very high water requirement. High water use can be an advantage if you plant the tree in an area that has problems with localized flooding–the tree can soak up some of the excess water–but this same quality can be undesirable if you plant too many such trees around a pond that you wish to enjoy, and cause the pond to dry up. Some trees, such as the sugar maple, engage in a process called hydraulic lift, using a deep tap root to draw water from lower levels in the water table and deposit it in the soil closer to the surface [Source]. This can help ecosystems and gardens alike by naturally “watering” the plants under the tree, keeping them healthy during periods without rain. Light: Trees also vary highly in the degree to which they cast shade. Some trees, such as willows, pine, walnut, or locusts, let a lot of light through, enabling many plants to grow beneath them. At the other end of the spectrum, trees like beech, hemlock, and sugar maple let very little light through. Deciduous trees can be useful for passive solar heating and cooling in temperate climates, as they provide shade during the summer but let light through in the winter. Fire: Fire ecology is also worth considering. Trees like pitch pine are adapted to areas that burn regularly, and to a degree, encourage these areas to burn regularly through dropping a lot of dry, flammable material. While this can be good for the local ecosystem, it can be dangerous when such trees are planted around human habitation in fire-prone areas. On the other hand, trees that are not well-adapted to fire can also pose a fire risk. For example, Eucalyptus trees are frequently planted in southern California, an area drier than their natural habitat, but these trees drop large quantities of bark and leaf litter with a high oil content, and pose a significant fire risk in this region. Chollas Reservoir Park, San Diego. 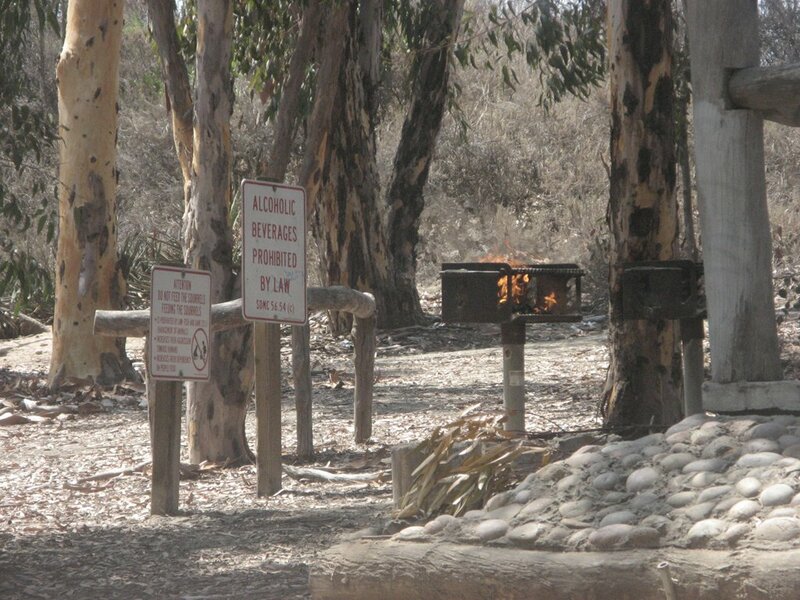 Eucalyptus trees are prone to burning in the dry climate of Southern California. With such careless plantings such as this grove of Eucalyptus planted in an area where open flames are not only allowed but encouraged, it is no wonder these areas are prone to destructive fires. Nutrients & Needle / Leaf Litter: Another important factor to consider is a tree’s use of nutrients. Some trees, including alders and most legumes, are nitrogen fixers, enabling them to take atmospheric nitrogen and turn it into a form that plants can utilize. These trees provide a natural fertilizer, and thus make an outstanding choice of tree for poor soils, and also around the edges of gardens and agricultural fields where nitrogen is in high demand. The litter (needles or leaves) dropped by plants varies hugely in its nutrient composition. Pine, spruce, and fir trees tend to drop needles which are acidic and break down slowly…this can make it hard to grow certain types of plants under them. On the other hand, juniper (including eastern red cedar) has the opposite effect, drawing calcium up from lower in the soil and depositing it on the surface when it drops needles, making the soil less acidic. Even among trees with high nutrient requirements, the nitrogen content of leaves varies hugely. Leaves with more nitrogen tend to be less acidic and break down more quickly. In general, the thicker, tougher leaves have less nitrogen and break down slower, but it is best to look up each species on a case-by-case basis if you are considering planting it. 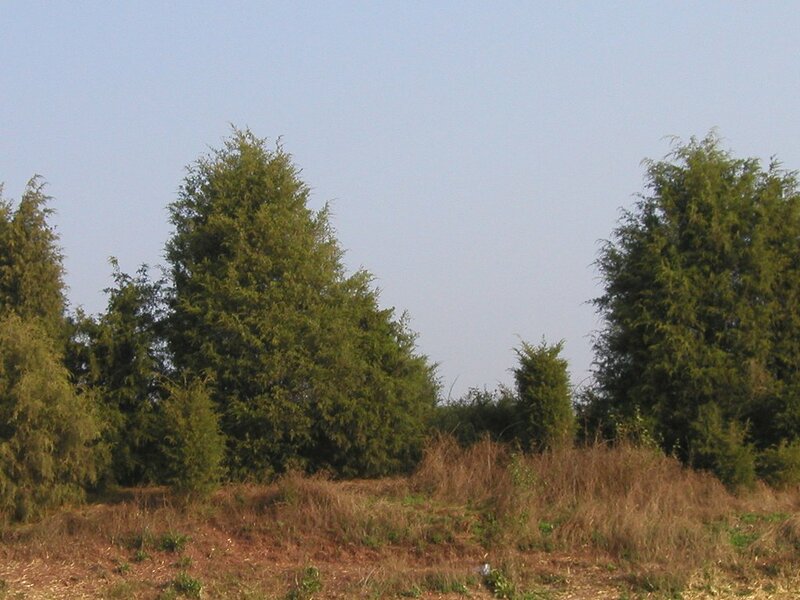 Eastern red cedar, Juniperus virginiana, has the effect of adding calcium and nutrients to the top layers of soil. It is a good plant to speed the development of poor soil and disturbed ground into more fertile ground. Sun / shade tolerance: some trees require full sun to thrive, others grow well in partial shade and a few (such as eastern hemlock) even in deep shade. Similarly, not all trees do well in sun–hemlocks in particular often do poorly if planted in an exposed location. Pollution tolerance: trees vary considerably in their tolerance to pollution (including both air and water pollution) and general urban conditions. Nutrient / soil requirements: some trees tolerate poorly drained soils; some actually prefer damp soils, whereas others demand well-drained soils. Fewer trees, however, can thrive in poor, sandy soils. Many trees can be cloned and hybridized. Whether or not trees are hybridized, they are often developed into named cultivars which are then cloned. With few exceptions, when you see a named cultivar of a tree or plant for sale in a nursery, it is a cloned cultivar. Often, these cultivars have been selected for various desirable horticultural qualities, such as leaf color, fall color, or flower size or color. In some cases, sterile (seedless) varieties of trees have been developed. 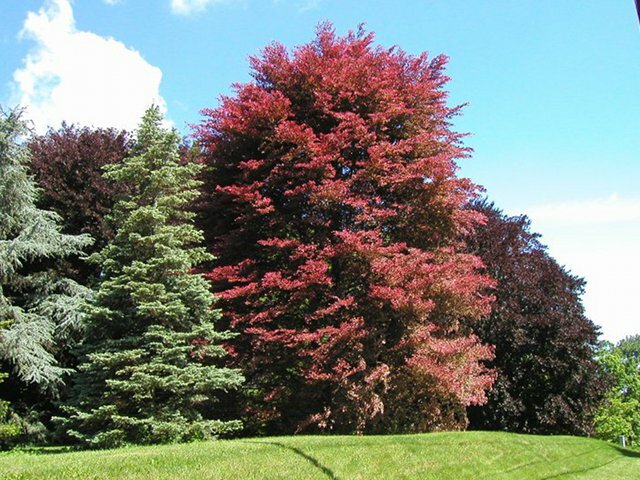 These cultivars of (European) beech and a few other tree species have been selected for their unusual color, including red and variegated leaves, creating on one tree a pink appearance when viewed from a distance. Such cultivars have been bred for appearance, not ecological value or adaptability. These cultivars have less ecological value than their wild counterparts. Cultivars have been selected for growing in nursery and garden/landscaping conditions, not in the wild. Except in the special case of programs designed to preserve genetic diversity (such as the American Chestnut Foundation‘s efforts to reintroduce the American Chestnut), cultivars generally have less genetic diversity than wild trees. Sterile or seedless cultivars are particularly lacking in value, since seeds provide food for wildlife, and also, seeds enable a tree to reproduce, allowing its genetic material to become part of a healthy, sustainable population. Even when the genome of a particular cultivar is a good representative of a healthy population, each clone has an identical genetic code and thus a group of such trees has little or no genetic diversity. This lack of genetic diversity is the largest reason to avoid planting cloned trees. What is the value of diversity? A healthy population of trees has a significant amount of genetic diversity, which allows the trees to adapt to pests, diseases, and changing conditions. As an example, when Dutch Elm Disease struck, it virtually eliminated a major component of the forests (not to mention streets and parks) of eastern North America. 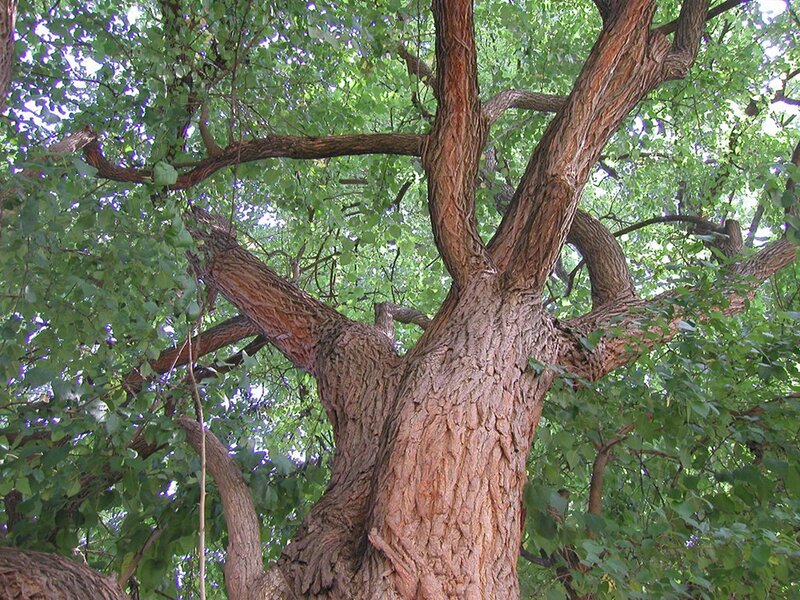 But due to genetic diversity in the population of elms, some trees were more resistant to the disease than others, which enabled people to develop resistant varieties of elm. Now these varieties are being reintroduced. 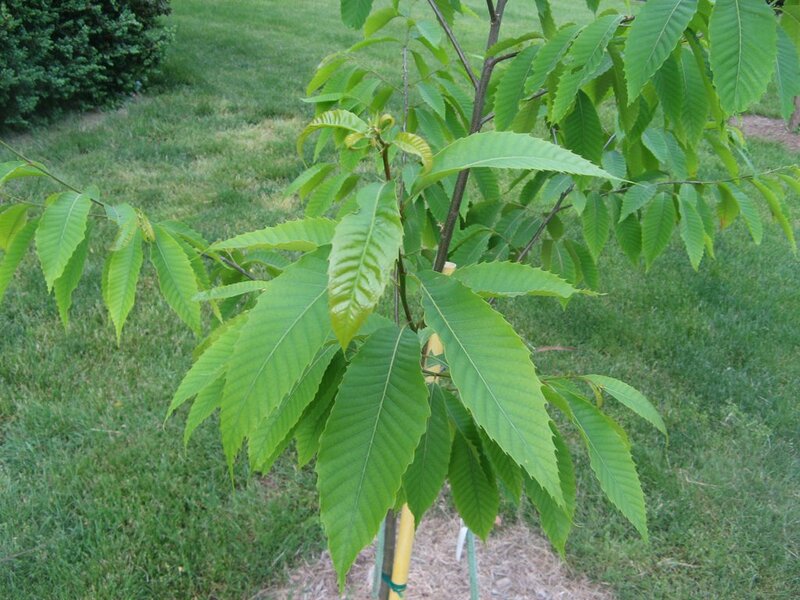 A blight-resistant American chestnut sapling; these trees have been carefully bred by the American chestnut foundation, combining disease-resistant trees with trees from original local populations, so as to preserve the local adaptations and genetic diversity of populations of this species in different regions. In our world, with global climate change and other rapid human-induced changes to the environment (including pollutants, land use, and introduction of new non-native species), it is of utmost importance that we maintain healthy populations of native trees, as these trees are the cornerstones of many ecosystems. In many regions of the world, an overwhelming majority of total land is used by humans–between cities and towns, suburbs, and agriculture–and many of these areas have numerous trees in them. If we maintain a healthy population in areas used by humans, these trees will seed back into nearby wild ecosystems, thus contributing to the genetic diversity of these populations. We can thus enable land that is used by human to have ecological value for maintaining healthy populations of native plants. The best practice is to thus grow trees from seed (not from cuttings or other cloning methods) from a local seed stock–local to the area in which the tree is going to be planted. Unfortunately, many nurseries do not follow this practice–instead they offer only mass-produced trees, sometimes cloned, sometimes taken from populations far way. But when purchasing a suitable tree is not an option, the best choice can be achieved “for free”, by letting a tree seed itself naturally, or by transplanting a tree from a nearby area where one came up from seed. Trees will tend to come up in areas where they are best adapted to grow–if you identify and research the tree and find it is suitable for your tree-planting needs, it is probably best to leave the tree rather than to pull it out and replace it with one you purchased. Not only is this approach a best practice as outlined, but it can save money and time. You can even create a suitable substrate (well-drained soil, exposed gravely soil, etc., depending on what tree you wish to grow) to encourage certain types of trees to come up in a location of your choice. Work with nature rather than against it! When you buy trees, ask questions about the origin of the tree. Do not buy cloned trees or cultivars, and do not buy a tree unless you know that they have been grown from seed from local, healthy populations. If you are unable to locate a suitable tree for purchase, consider growing a tree from seed yourself. Often, the best trees to plant are trees will come up from seed naturally in the area where you want to plant the tree. This solution is both sustainable and inexpensive. Begin learning about your local native trees and local ecology now, so that when you need to make decisions about tree planting later, you will be well-informed without having to do extensive research. Being able to identify trees will also enable you to utilize trees that come up naturally rather than being reliant on purchasing trees. If you work for a nursery or tree farm, increase your offerings of native trees grown from seed from healthy, local populations, and phase out your use of cloned cultivars and non-native plants. Draw attention to these issues in order to gain a competitive advantage over nurseries who lag behind in these sustainable practices. If you work for an institution or government in a decision-making capacity, consider enacting policies to encourage or require best practices regarding sustainable tree planting. Give me feedback on how you think this guide could be improved, and consider passing it on to people you know who may be making decisions about tree planting in the near future. This entry was posted in Activism & Ideas and tagged conservation, ecology, gardening, invasive species, landscaping, native plants, nature, sustainability, tree planting, trees, urban planning. Bookmark the permalink. Thanks for writing such an informative article. I am planning on planting trees in my yard as wildlife attractants, and your info will be incredibly helpful come spring!! This is a fascinating article that actually introduced me to some things I’d never heard of like “hydraulic lift”. I’ve been asked (or I volunteered) to offer my local government some suggestions for street tree planting for a new development project that is planned. I know I’ll do better than they would without giving planting any forethought at all, but I’m still so overwhelmed with decisions. I’m also frustrated with how inconsistent sources seem to be on basic things like the expected size and shape of a tree and even sun and water usage. I’ve also noticed that different sources can be inconsistent about the expected size and shape of a tree and other factors. Some sources are more reliable than others, and also there is regional variability. A lot of the common landscape trees are ones that have very broad geographic ranges and grow under different conditions, because these tend to be the trees that best tolerate urban conditions. The needs and growth habit of a tree can vary hugely based on where you are in the tree’s range, as well as the local conditions. As an example, broadleaf evergreens like the American holly can be planted in many different conditions in the middle of their range, but in the northern edge of their range, they need to be sheltered from wind, and typically do best on the north sides of buildings and slopes where they are not exposed to too much sunlight during the winter when the ground is frozen. Another great example is the post oak, Quercus stellata, which often only reaches 15-30 feet in its native habitat–it tends to grow in pine barrens, along the edges of salt marshes, and in other habitats with very poor soil. Because of its tolerance of adverse conditions, it makes a popular landscape plant–it’s almost indestructible. But when planted in richer soil with adequate water, it can grow huge, surprising people. If you are feeling overwhelmed with choices, I think it’s best to start by narrowing things down. What sorts of sources have you been looking at? In terms of a quick gardening reference that can give you a basic overview of things, that I’ve found to be reasonably accurate, you can look the trees up in the Sunset Plant Finder. It’s just a rough overview. I think it’s best to actually look (out in the physical world) at examples of the particular tree in your area to see how it grows. And check the range, which you can often do by typing the scientific name into google image search together with “range map”–it’s safest to plant trees that are in the middle of their native range, least safe to plant things far outside their range. Good luck! I’m sure you’ll do a great job if you’re thinking about ecological issues–even thinking about these things is a huge step up from the way tree planting is usually approached! Basking Ridge NJ. Would anyone be interested.Any feedback would be appreciated. I seriously doubt that American Chestnut could be grafted onto an osage orange–Osage Orange is more closely related to mulberries, the chestnut related to beeches and oaks; the two trees are not even in the same order. About that chemical, I looked it up and it is a fascinating chemical that, among other things, seems to be responsible for the insect-repelling properties of the fruit. It may also have some medicinal uses too. But most phytochemicals degrade relatively quickly (and would be totally gone after a number of years). The Osage Orange has not had a wider range since before the large mammals went extinct, tens of thousands of years ago, so even if this were a particularly long-lived chemical, it would be completely gone by now.